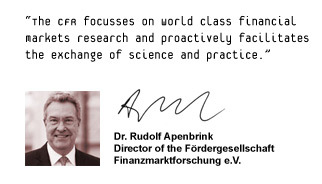 The Centre for Financial Research (CFR) is a research institute at the University of Cologne and conducts independent, cutting-edge research of practical relevance in the area of financial markets. We offer talented students and graduates the opportunity to participate in our research, so that, given adequate abilities and interests, their way into international research may become easier. 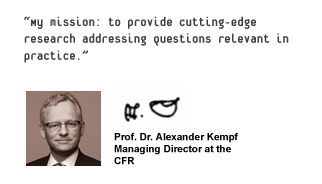 As a competence centre for finance, the CFR is finding resonance in academia and practitioners. We invite you to be part of the process! The CFR Working Paper No. 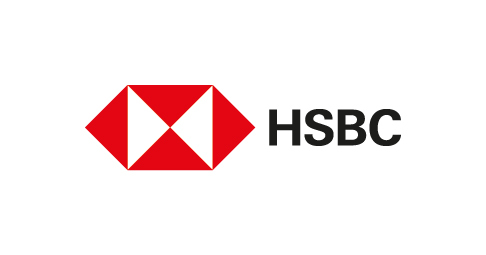 15-09 "Interfund lending in mutual fund families: Role in liquidity management" by Vikas Agarwal and Haibei Zhao has been accepted for publication in Review of Financial Studies. The CFR Working Paper No. 16-12 "Are Generalists Beneficial to Corporate Shareholders? Evidence from Exogenous Executive Turnovers" by André Betzer, Hye Seung (Grace) Lee, Peter Limbach und Jesus M. Salas has been accepted for publication in Journal of Financial and Quantitative Analysis. The CFR Working Paper No. 18-01 "The Impact of Labor Mobility Restrictions on Managerial Actions: Evidence from the Mutual Fund Industry" by Gjergji Cici, Mario Hendriock and Alexander Kempf was accepted for presentation at the American Finance Association (AFA) meeting in Atlanta, USA. In addition, Mario Hendriock was selected to receive an AFA Doctoral Student travel grant to attend the meeting. We are very happy about this success! On April 1st, 2019, the 18th Cologne Colloquium on Financial Markets will take place. The deadline for submissions is January 15th, 2019. Further information can be found here. The CFR Working Paper No. 15-12 "Liquidity Transformation and Financial Fragility: Evidence from Funds of Hedge Funds" by Vikas Agarwal, George O. Aragon, and Zhen Shi has been accepted for publication in Journal of Financial and Quantitative Analysis. The program for the Research Seminar in the summer term 2019 is scheduled. Information on the program can be found here. 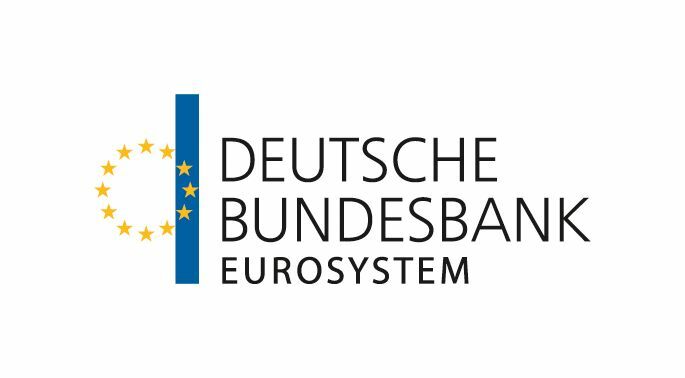 The Fama-French factors, the Carhart factor and test assets for the German equity market are now available for download. The factors and test assets have been calculated as part of a joint project of the CFR and the chairs of Prof. Alexander Kempf and Prof. Erik Theissen. We hope that this will be a useful and valuable resource to the research community. You can find the data sets here.